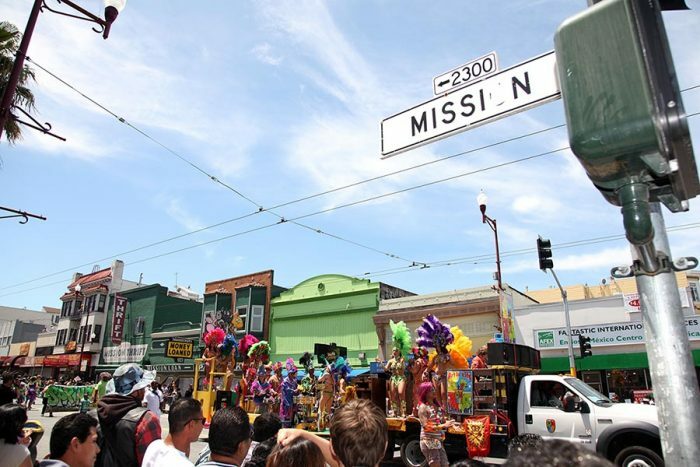 San Francisco’s Carnaval will be held in the Mission District in late May. We don’t know about you, but we always look forward to spring in the Bay Area, which officially begins next week. The whole region comes alive with a variety of festivals, fairs, and events. Below, we’ve compiled a selection of exciting events from each of our Northern California regions, including Lake Tahoe. So shed your winter skin and get ready to enjoy good times, good food, and celebrations! On every third Thursday of the month, join this 60-minute, scavenger-like run filled with giveaways, raffle prizes, music, and even a beer garden. These scavenger hunts are free, but an RSVP is required. From May 17 to May 20, join the fun at the Contra Costa County Fair in Antioch, where thousands of visitors have been celebrating the best of the county for more than 75 years. Learn more about the shows, exhibits, and entertainers scheduled to appear on the official website. On March 25, runners will take their mark. From a marathon to a half-marathon to a kid’s fun run, there’s something for everyone at the Oakland Running Festival. Brought to you by the city of Berkeley, the first Berkeley Bay Festival occurred 80 years ago when the marina opened. This year, on April 14, come celebrate the bay and Berkeley with music, food, and activities. You can even paddle in a dragon boat on the water at this free event. Put your hats on and join the Bay Area’s biggest Kentucky Derby Party on May 5 at Golden Gate Fields. The first post is at 11:45 a.m. Bringing your friends? Call to make group reservations. If you like art, crafts, food, beer, wine, mimosas, bounce houses, and music, you’ll love the Alameda Spring Festival. On May 12 and 13, find your way to downtown Alameda and get ready to have a wonderful time on Park Street. On June 2 at Mosswood Park, join host SambaFunk! and the city of Oakland for a day of free family fun. Oakland Carnival showcases musical and artistic traditions of carnivals from around thee world, including the Caribbean, and South, Central and North Americas. Live music, dancing, food, youth games, and an African marketplace … prepare yourself for a day of celebration and fun. “Drink beer. Save animals.” We can get behind this good cause! On June 2, the Berkeley Humane Society presents Pints for Paws, featuring nearly 100 beers from 20-plus craft breweries. Enjoy live music and bring your crowd-friendly dog! General admission is $65. Enjoy open studios, art exhibits, galleries, live music, and refreshments as you stroll along Fourth Street in downtown San Rafael. Check the official website for exact dates. From April 20-27, the annual Tiburon International Film Festival hosts a selection of independent features and short films. Bonus: Its awesome logo features a shark with a movie reel in its mouth. Food, music, and wine? We’re in! This event takes place on May 19 at the Point Tiburon Plaza. Enjoy live music, a spectacular silent auction, and special wines from participating wineries. Tickets are $80 for unlimited wine and food tasting. Enjoy a musically magical experience on Mount Tamalpais. In May and June, Mama Mia will be entertaining attendees with the hits of Abba. Mountain Play takes place at the Cushing Memorial Amphitheater. Get ready to experience a one-of-a-kind event featuring professional actors, visual effects, and a live orchestra! Check the official website for ticket information. Visit Napa’s only true Victorian living museum and event space, now through May 13. Admission is $55 and includes a tour of the restored historic 1888 Queen Anne Victorian home and a traditional English tea service. On April 13, Calistoga’s 5th Annual Breakfast for Kids takes place at the Calistoga Clubhouse. The keynote speaker is Levi Leipheimer, former professional cyclist. The event is free, but RSVPs are required. This year marks the 21st anniversary of the Kitchens in the Vineyards home and garden tour in the Napa Valley. The preview party takes place on April 27, and the home tour takes place on April 28. Five St. Helena residences will open their doors for the event, which benefits the summer chamber-music festival, “Music in the Vineyards.” Visit the official website to learn more. Tickets are on sale now for this festival that takes place June 6-10 at the Lincoln Theater and Oxbow Commons. You can purchase two-day, four-day, and five-day packages. Visit the official website to learn more about the artists scheduled to appear. Get ready for some fantastic flicks from April 4-17 at the San Francisco International Film Festival, the longest-running film festival in the Americas. From marquee premieres to artist talks and live performances, this festival has something for everyone. Visit its website for the program and ticket information. On May 20, hordes of people will take to the streets of San Francisco — to run and then some. Participants will run up Hayes Street, along the Panhandle, and through Golden Gate Park. The 12-kilometer race finishes at the Great Highway along Ocean Beach. Since 1912, over 2 million costumed runners and walkers have completed this journey. Visit the website for registration information. This year, the street festival/parade/party celebrates its 40th year. This two-day festival is held on May 26 and 27 on Harrison Street between 16th Street and 24th Street. Carnaval features global cuisine, international music, dancing, floats, performers, arts, crafts, and more. Now in its 21st year, the five-day (March 21-25) Sonoma International Film Festival features more than 90 films, including independent features, documentaries, world cinema, and short films. All films are shown within walking distance of Sonoma’s historic plaza. Visit the website to see the schedule and for ticket information. On April 14 and 15, the 45th annual Fisherman’s Festival takes place at Westside Park. Here you’ll find seafood, wine, beer, food trucks, live music, a pet parade, crafts, a kid zone, and a wooden-boat challenge. Since 1973, this event has celebrated the kickoff of salmon season with a blessing of the fleet. Check out the website for ticket price information. You had us at chili. And salsa. And beer. On May 19, 40 chili teams, 20 breweries, and 15 salsa teams congregate at the Sonoma-Marin Fairgrounds (rain or shine). And this event raises funds for Cinnabar Theater Young Rep. Visit the official website to learn more. International art, local art, food, wine and a good cause? (Proceeds benefit the Healdsburg Center for the Arts.) We’re in! The festivities and activities take place on June 14-16. Visit the website for ticket information and for more details. On Sunday March 25, come to Gamble Garden for the annual Easter-egg hunt, where you will also find a petting zoo, arts and crafts, and the Easter bunny. Visit the website to sign up for a time and register. Arts, crafts, live music, food, classic cars, farm-fresh produce, and a kids’ zone … sounds like the perfect spring festival to us. This event takes place on May 5-6 in downtown Mountain View, and admission is free. Maker Faire describes itself as “Part science fair, part county fair, and part something entirely new.” On May 18-20, come meet the makers at a family-friendly festival of invention, creativity, and resourcefulness. Visit the website for ticket information which takes place at the San Mateo County Event Center. Music to our ears! From March 24 to April 22, this spring series returns with five free music-filled weekends. Check out this website to learn more about the scheduled performers. On April 14, the snow tournament returns for its 35th year. This is the only top-to-bottom snow golf course. Tee time is 9 a.m., and the course starts at the top of Summit Express Chair, with a prize for the best costume. Registration is free. On April 28, come watch the thrills and spills at this spring resort ritual; every year celebrity judges are invited to the skiing and snowboarding spectacle. And, if you are brave enough, registration is only $20. Learn more on the official website. On Memorial Day weekend (Friday May 26 through Monday May 29), Lake Tahoe will be ready to celebrate spring. From deck parties to live music to museums summer tours — there is no lack of activities. Visit the official website to learn more.